So you've properly illuminated all the indoor spaces in your home. Now you're done, right? Nope! Don't forget landscape lighting! Landscape lighting is an essentially important aspect of a properly lit home. It has many different purposes: safety and security, aesthetics and improving your outdoor living space are just a few. Your home will look even better, the resale value will improve and you can extend the time you spend outdoors during the summer. There are many ways to add landscape lighting outside your home. Here are a few general types and methods. Pathway Lights: Placed alongside walkways, path and area lights keep spaces bright and visible no matter the time of day or night. Pathway lights are available in a wide range of styles, from highly decorative to subtle and understated. Deck and Step Lights: Often mounted to a deck's railing, placed atop (or built into) steps or the side of the house itself, these small lights spread soft, glare-free horizontal light that help improve safety and security. Deck and step lights come in vertical, horizontal, square and round varieties to suit specific needs. Landscape Accent Lighting: These lights are usually used to spotlight things like trees, statues or other interesting elements in your yard. Spot lights in various sizes and finishes are available, including some that can be submerged in ponds. These will light objects from below, although they can be situated to light things from above too. 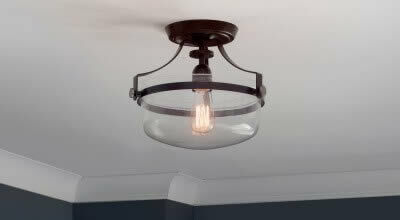 Well lights, which illuminate objects above them, are adjustable to control the angle of the beam. Now that you know the general types and methods of landscape lighting, here's how to figure out your personal plan for implementing this type of lighting. First, assess your exterior space. Maybe even draw a rough sketch of it if you're a visual person. Then, figure out what needs to be lit. Do you want to show off a pretty tree? Illuminate a walkway? Submerge lights in a koi pond? After that, choose your lighting technique. Maybe it's time to put in path lights, add some accents or increase the safety on your steps. 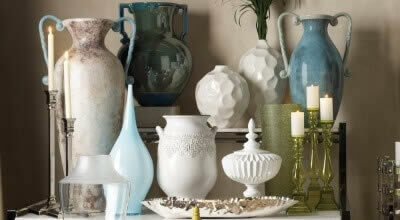 From there, select your fixtures and accessories. Remember that less is more with path lighting. Don't feel like you need to illuminate every square inch of space--this is not an airport runway! 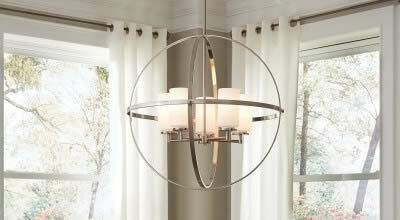 Instead, space the fixtures out so they can each provide their own circles of light. While all landscape lights are meant for the great outdoors, there are some that can perform well in any extremely hot or cold climate. 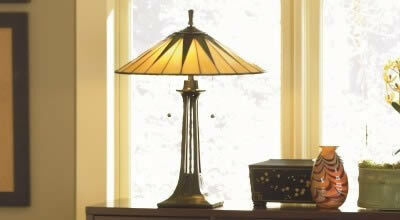 Look for ones made of solid brass, solid copper or cast brass. No matter how high or low the mercury goes, these lights will perform and look great! Low-voltage landscape lighting has many advantages over the line-voltage systems of the past, including flexibility for installation or relocation, smaller bulbs, lower energy costs and the ability to operate safely when exposed to moisture. They're also a lot safer if you accidentally cut or damage the wiring while, say, gardening or renovating. A 12-volt current is harmless to the touch, whereas a 120-volt system requires extra caution. Keep in mind, 12-volt low voltage systems do require a transformer to convert the residential electrical current down from 120 volts, but oftentimes an electrical contractor won't be needed for installation, unlike when 120-volt systems are used. We sell transformers along with landscape lights. When installing your landscape lights, we recommend using direct-burial cables to connect lights to transformers. Burying the cables requires a flat-nose shovel. Push the shovel straight down, six inches into the ground, and then push it back to open a slit. Put the cable in the bottom of the slit and then pull the shovel out to cover it with dirt. Then, step on the ground to cover it. A ¾” PVC conduit can be used for extra peace of mind, but in most cases, direct-burial cable will suffice. One notable exception: lawns maintained by commercial lawn care services. To automatically turn your lights on and off at predetermined times, you can add standard, digital or digital astronomical time clocks. Digital astronomical time clocks automatically adjust to the fluctuations in sunlight caused by the change in seasons, while standard and digital clocks need to be manually adjusted for Daylight Saving Time. LED illumination options for landscape lighting are available! These maximize the potential of LED lights, are great for energy conservation and provide a warm white light with a separate DC driver to reduce the excessive heat that can damage LED bulbs. 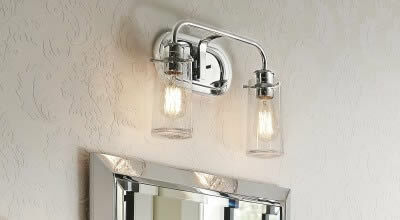 Integrated LED lights mean you may never have to buy or replace light bulbs. LED bulbs use 75 percent less energy than halogen bulbs, providing you with long-term savings on your energy bill. Plus, they last for a long, long time: an estimated 40,000 hours. If you want to coordinate your landscape lighting with outdoor lanterns or other fixtures, you can do that with Hinkley and Kichler! 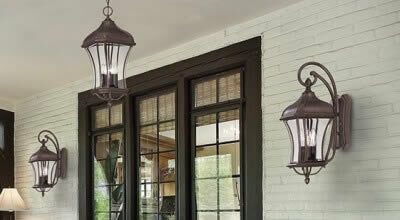 Many of their outdoor lighting lines include options like hanging lanterns and post lights in addition to landscape choices. So, there are many benefits to installing landscape lighting. Your home will look better, you can enjoy more time outside, you will feel safer and more secure, plus you can use very efficient methods of illumination to suit your specific needs. Don't forget, we're here to help. If you have more questions about landscape lighting, contact us or call our lighting specialists at 1-866-688-3562. Sign up for our email newsletter today and score an additional discount!